There was a great article in the Herald about a Bothell woman named Betty Pervis. 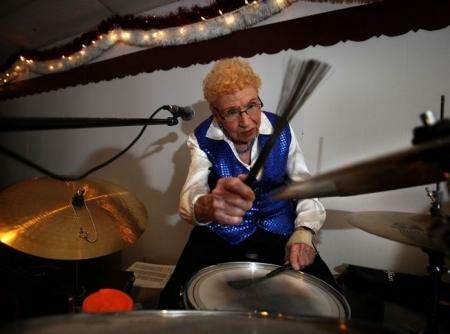 Betty, who turns 90 years of age on July 22nd, is not your average 89 year old, Betty plays the drums in a band called Bob’s Swing Band who plays at Normanna Lodge #3. They also play at the Northshore Senior Center. You need to check this gal out. Keep playing those drums Betty!